The principle is very simple. From the moment you hold your Geneva Pass, valid for 24, 48 or 72 hours, you can set forth to discover Geneva. It is your “open Sesame” to museums, cruises, visits, tours and many other surprises! 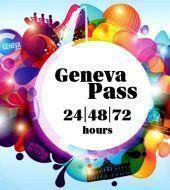 The Geneva Pass is valid for the duration stipulated on the card. This card gives access to the services Geneva Pass listed in the brochure. It must be presented every time it is used. Each service may only be used once. The offer cannot be added to other discounts. This card also gives access to free public transport in the Tout Genève zone (zone 10) of the Unireso network, during all transport service hours, in 2nd class trains. It must be presented to transport conductors; proof of identity may also be required. Note: personal, non-transmissible card is only valid if it is duly filled-out for the period stipulated on the card. The card cannot be refunded or replaced. You can find the full list of discounts here.